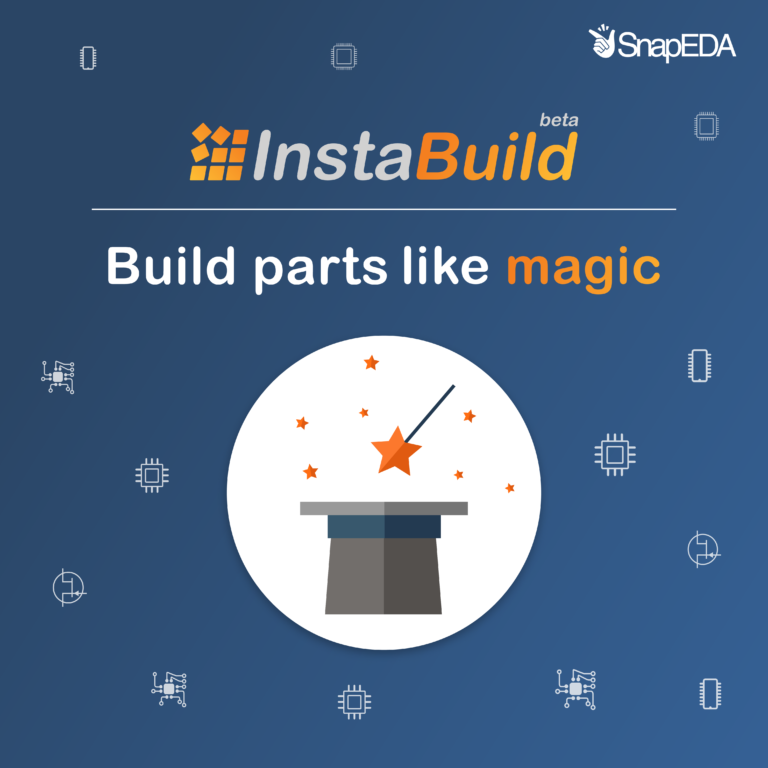 You can now customize your InstaPart requests! Great news for engineers who have custom requirements and preferences for their parts libraries. 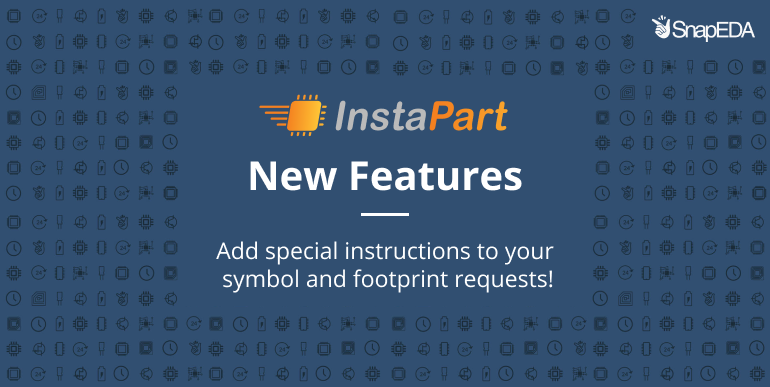 It is now possible to specify custom instructions when requesting a symbol and footprint on SnapEDA via our InstaPart service! This new feature is helpful when you want to deviate from the standards we use. For example, some engineers want “no connect” pins on their symbols, while others want those hidden. Or, you might want to enlarge the solder mask on a particular device to ensure the part is mechanically attached well beyond the 1:1 ratio specified by the IPC standards. To make your request, simply click on “Add Special Instructions”. A dialog will open asking you how you’d like us to customize your part and you can let us know there. Our engineers will be notified immediately of your part request, including your special instructions. And as usual, you’ll be notified as soon as the part is ready for you to download. You can learn more about the InstaPart 24 hour part request service here. Our service is compatible with Altium, Allegro, OrCad, Eagle, KiCad, PADS, DXDesigner, and PCB123. This feature is available on parts requested via the part information pages (just search for the part on SnapEDA, and hit request).